Located in Bologna (Bologna City Centre), this apartment is within a 10-minute drive of BolognaFiere and National Art Gallery of Bologna. 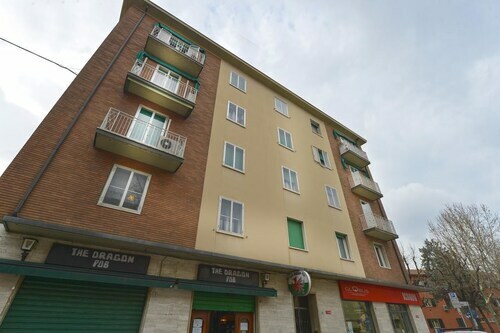 This apartment is 1.3 mi (2.1 km) from University of Bologna and 1.7 mi (2.8 km) from Tower of the Asinelli. Make yourself comfortable in this air-conditioned apartment, featuring a kitchenette with a stovetop and a dishwasher. Complimentary wireless Internet access keeps you connected, and a flat-screen television is provided for your entertainment. Conveniences include an electric kettle and a washing machine, and you can also request a refrigerator.